Velvety artichoke and black truffle soup, desserts that bloom under a stream of sauce and table-side carts proffering bread, sweets and champagne for days: at the best French restaurants in Las Vegas, living the good life is as easy as booking a table and swallowing the price tag for a couple hours of culinary nirvana. 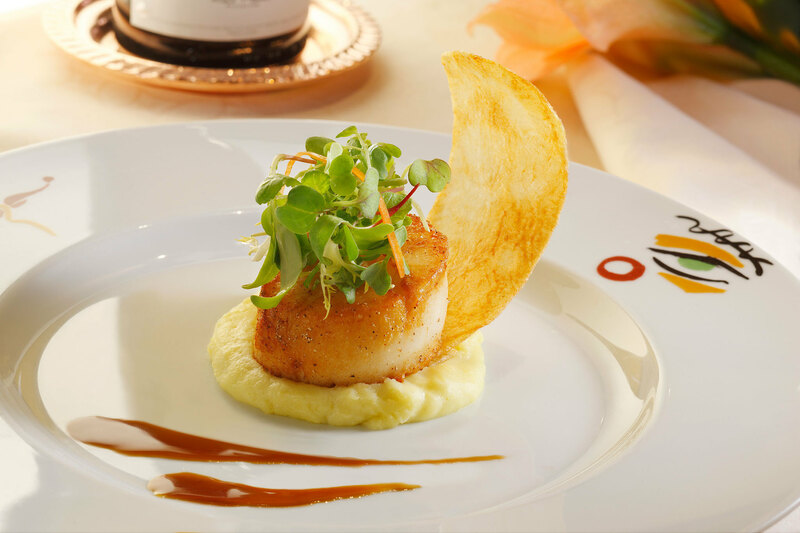 Fancier than the best diners in Las Vegas, a tad cheaper than the best Las Vegas casinos and just as delicious as the best Italian restaurants in Las Vegas, these bistros and brasseries will serve you the perfect coq au vin and escargots alongside a top rated wine glass. Are you ready? 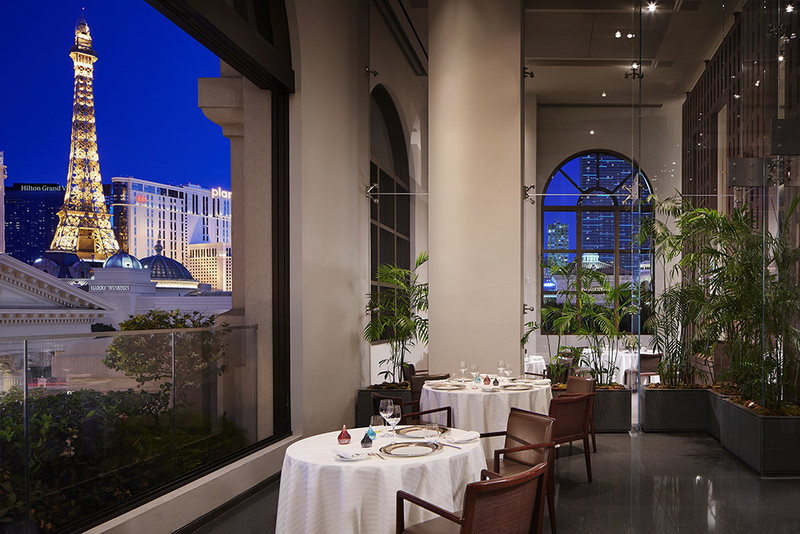 Right next door to Robuchon’s signature MGM Grand restaurant, this workshop-style eatery is a lower-cost, less buttoned-up alternative to the Mansion’s pomp. 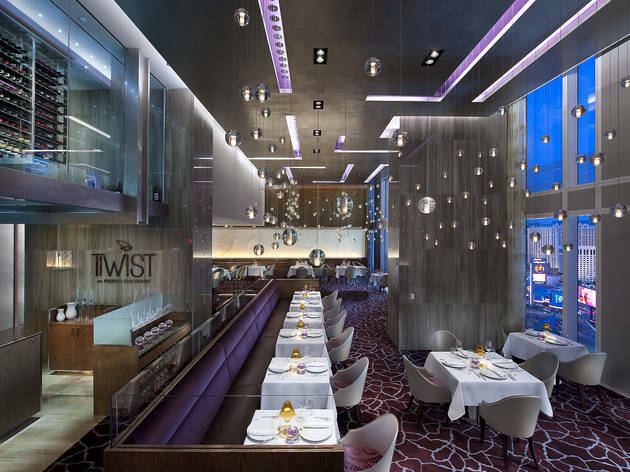 Sit at the counter and watch the chefs engage in a culinary waltz, turning out meticulous modern French cuisine like smoked salmon with potato waffle and dill whipped cream. 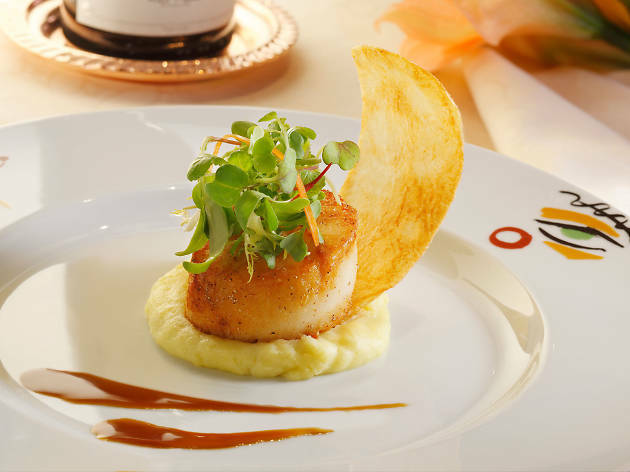 Order à la carte if you must, but we suggest splurging on the seasonal tasting menu and sampling as much as you can afford. 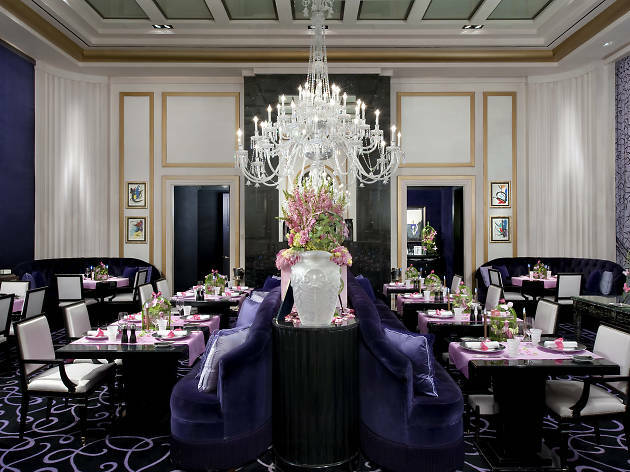 Guy Savoy’s eponymous Caesars Palace restaurant, where Julien Asseo presides over the kitchen, is among the most expensive in Vegas. 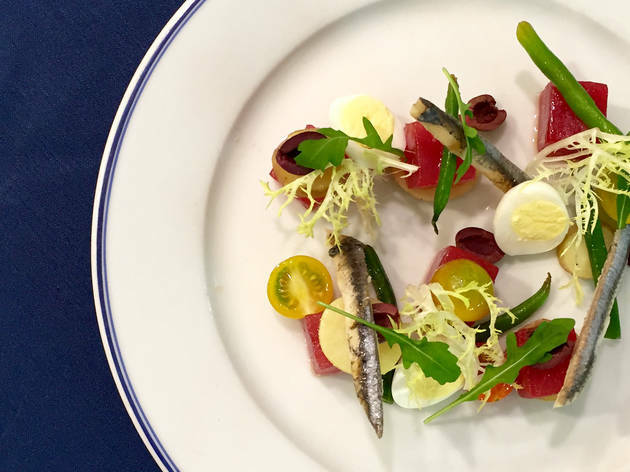 However, for a hungry Francophile it’s worth every penny: the only place to savor Savoy’s culinary acumen outside of Paris and a true occasion eatery. 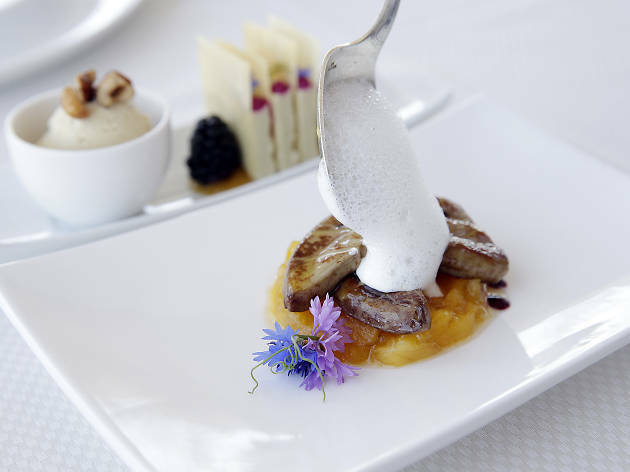 Highlights include luxurious artichoke and black truffle soup served with toasted mushroom brioche and the signature “colors of caviar,” a parfait-like presentation of the prized ingredient that elicits murmurs of surprise and appreciation. What’s that flavor? How did they? Wow. 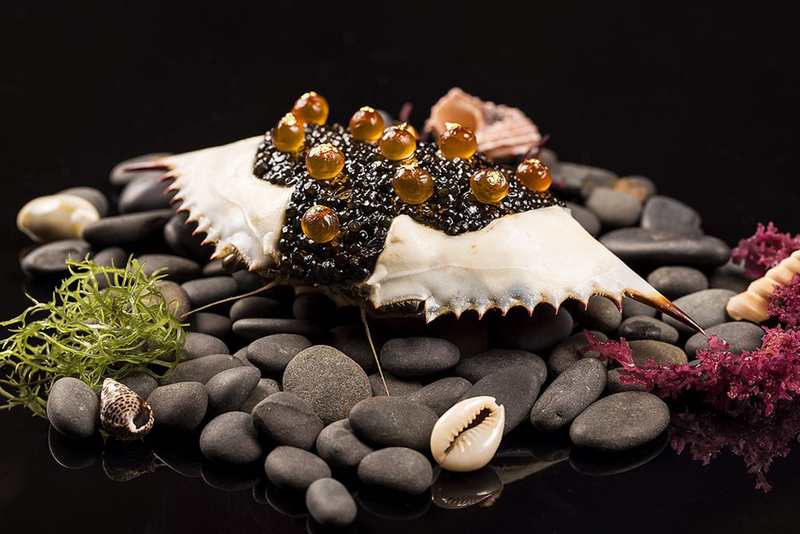 Eating at Pierre Gagnaire’s airy Mandarin Oriental restaurant is a bit like stepping into a very attractive laboratory where the genius at work uses food in his experiments. That means a menu rooted in Gallic cuisine but full of unexpected elements—bacon powder! Fromage blanc ice cream! Beetroot syrup! 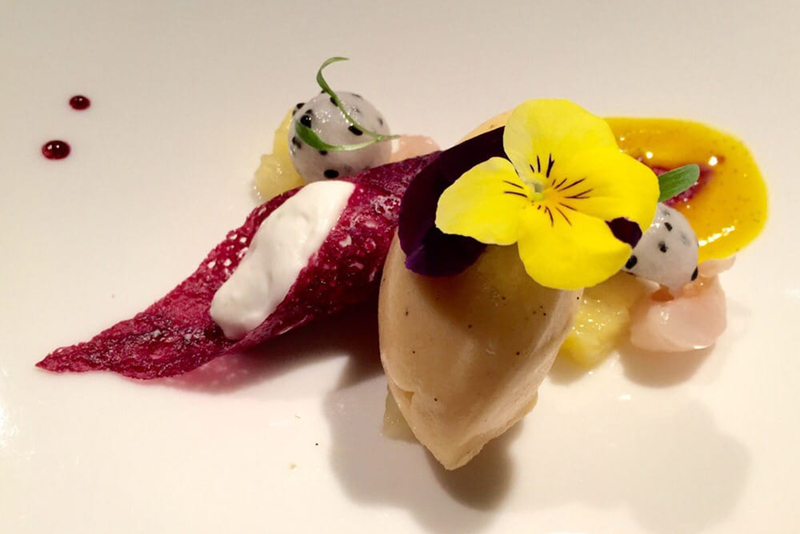 Dinner here is a formal affair, but don’t confuse finesse with stuffiness: What you’ll find is a contemporary take on French fine dining, less concerned with rehashing the past than pushing toward the future. 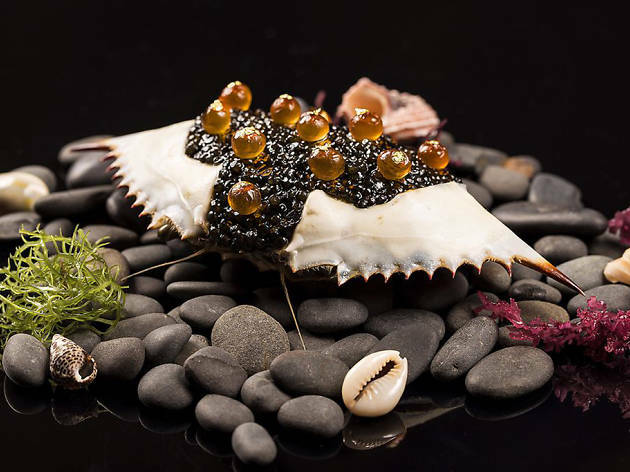 Colloquially known as the Mansion, this Michelin-starred restaurant at MGM Grand from renowned toque Joël Robuchon is the paradigm of French feasting on the Strip. 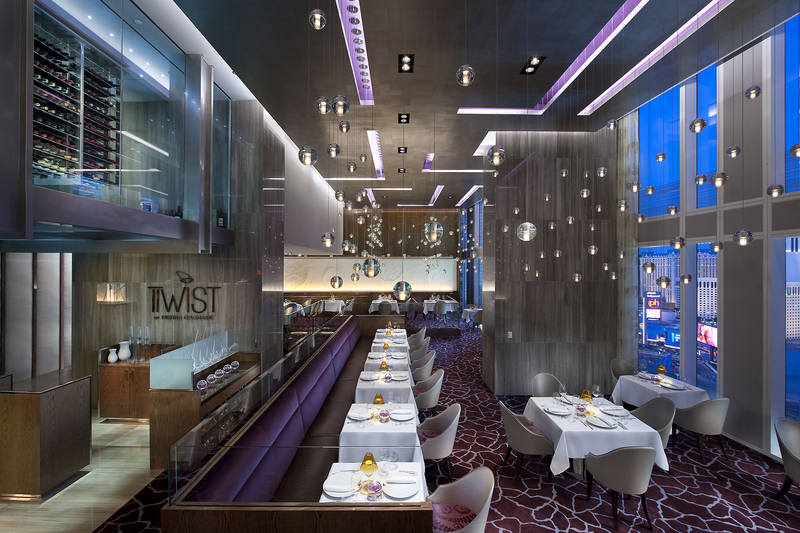 Going all out means an hours-long dinner that stretches over 17 courses and costs north of $400 per person, before wine. Lest you leave not totally stuffed, supplemental carts overflow with more than a dozen freshly baked breads and perfectly prim mignardises. By the time you’re done being fed and fêted, Robuchon will have you feeling like royalty. When your dining room is lined with original Picassos, you have to work pretty hard to make an impression with what’s on the plate. 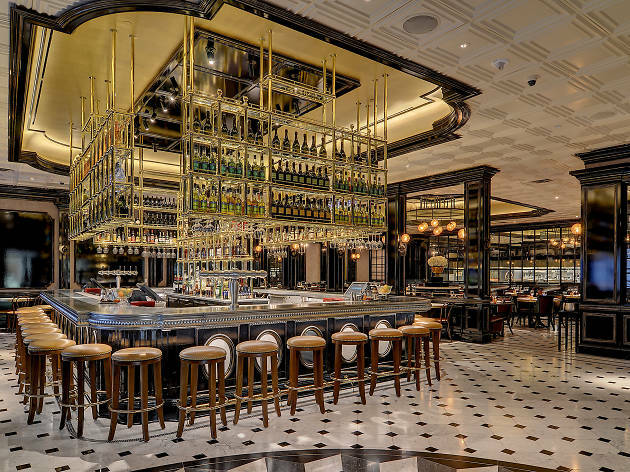 But Julian Serrano usually succeeds, thanks to a menu of graceful French fare with a light Spanish touch that’s earned nods from Michelin and James Beard, among others. 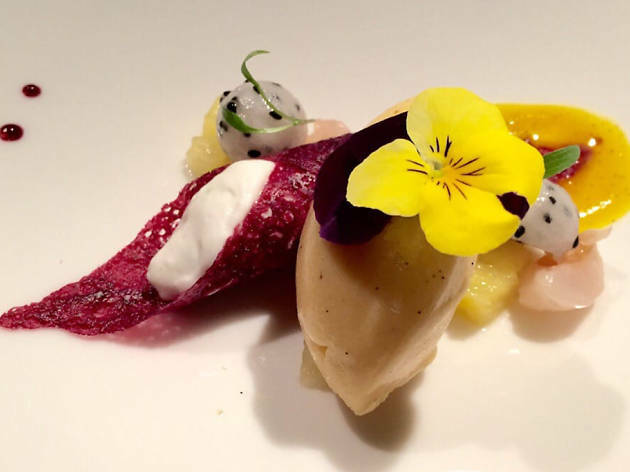 Unlike a lot of celebrity chefs with high-profile Strip salons, Serrano actually lives in the city, which means he keeps a tighter eye on Picasso and dishes like warm quail salad with artichokes and pine nuts or deer medallions with caramelized green apple, which are delivered flawlessly night after night. 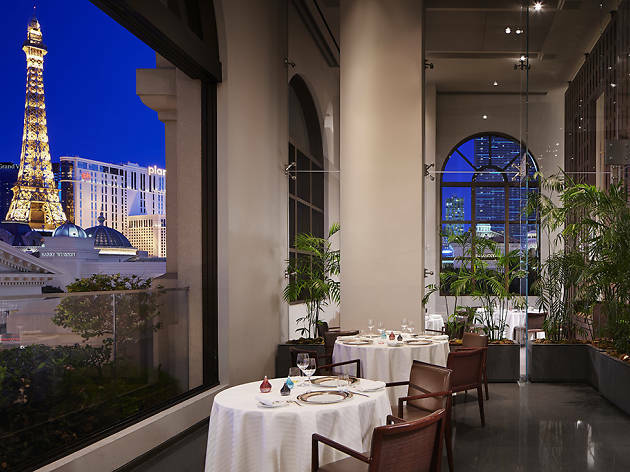 This Vegas version of the New York institution is helmed by wünderkind Wilfried Bergerhausen, who passed through the kitchens of various landmark restaurants in France before landing in Las Vegas at Joël Robuchon at 22. Nine years later, he’s running the show at Le Cirque, where the food is both inventive and deeply French and the service is world-class. Plus, this incarnation has one attribute that none of the other locations could ever boast: views of the Bellagio’s phenomenal dancing fountains. 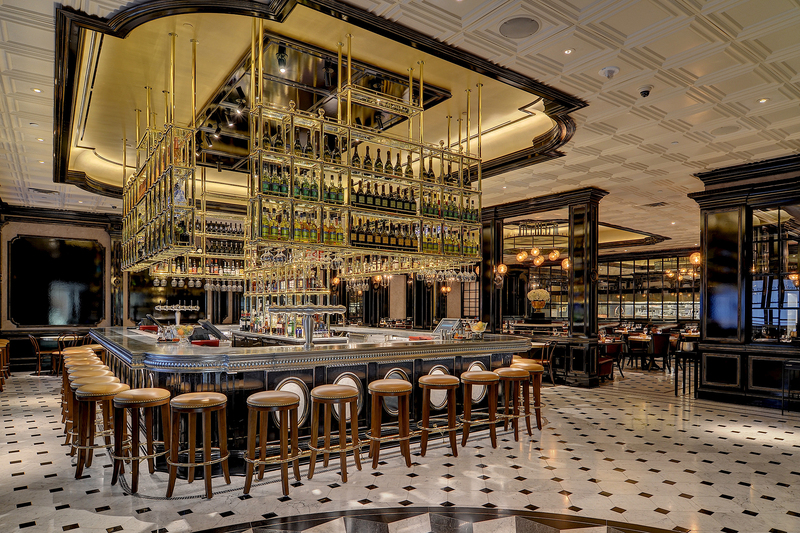 Michael Mina whisks guests to Paris with this Aria brasserie, where the menu hews toward the classics with contemporary updates. Start with a cocktail or sour beer at the statement bar out front, then migrate to the dining room for delightfully unfussy and satisfying cooking that’s made the restaurant one of the most lauded openings of the past few years. Pro tip: Don’t miss brunch, when the kitchen rolls out an epic cube of brioche French toast with vanilla mascarpone and orgeat syrup alongside bottomless rosé (just $25). We’ll drink to that. Inside this bistro and oyster bar, the much-heralded Thomas Keller serves authentic French country fare modeled after the cuisine served in the original bouchons of Lyon. Indoors or poolside in the gardens, indulge in Bouchon’s take on chicken and waffles, luscious roast bird set atop a bacon and chive-flecked waffle, or textbook truite amandine while bow-tied and aproned servers hustle through the room. 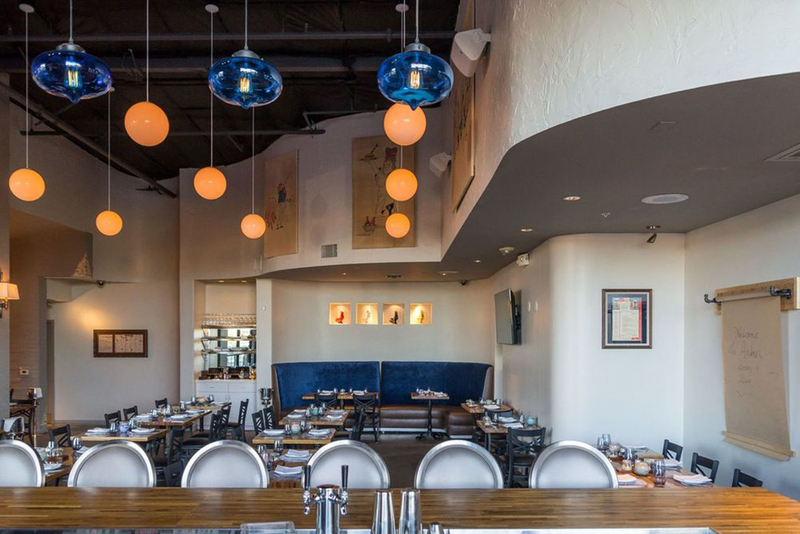 Local legend André Rochat closed his Monte Carlo restaurant last year to make way for resort renovations, but it didn’t take long for him to reveal his next act: a neighborhood bistro in the southwest valley. 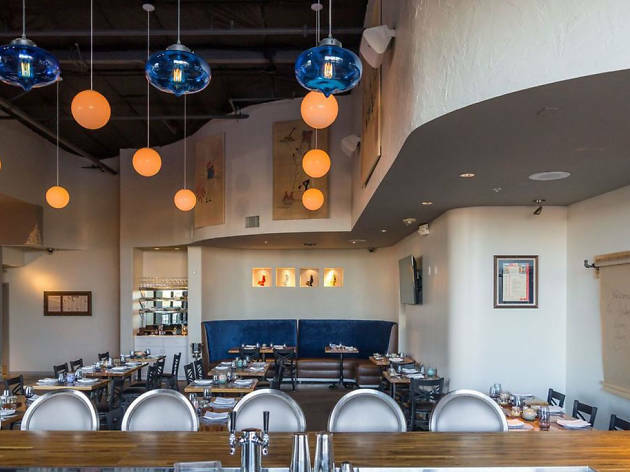 The caliber of cooking is still plenty high, but you’ll find more casual fare mixed into the menu as well as a decidedly off-Strip price point. Which means you can eat more of Andre’s food more often. Sounds like a win-win. 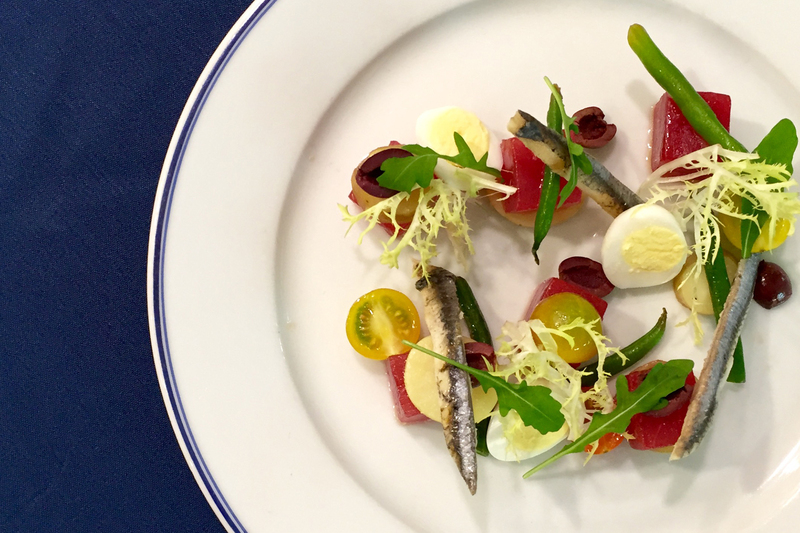 Up on the 56th floor of Palms, André Rochat’s date-night destination delivers classics and fresh takes on French cuisine. Dishes such as lobster thermidor and foie gras terrine taste as great—in a grand, old-style fashion—as they sound, but the menu is also sprinkled with more contemporary options, like curried lobster bisque and duck breast with quinoa in raspberry green peppercorn sauce. It comes at a price, but Rochat, who’s been cooking foie gras in Vegas since Dan Tanna was around, is certainly worth it. You should probably just pre-order dessert.